A series of new developments has shed some light on Apple’s product roadmap for the coming year. First, we thought that Apple would be holding a media event in April for iOS 5 and MobileMe. TechCrunch followed up on those rumors by saying that iOS 5 would be pushed back to the fall, and that the iPhone 5 would be released this summer running a version of iOS 4. Apple has always done something with the iPhone during June, but this year looks to be a change-up from Apple’s typical announcement cycle. The Verizon iPhone launched in February, which is something totally new for Apple’s typical release schedule. The white iPhone 4 is suspected to ship very soon as well, which could make Apple feel comfortable with holding off on the release of the next gen iPhone. It doesn’t make much sense for Apple to release a white iPhone 4 less than three months before an iPhone 5 announcement. “Apple’s apparent focus on software in its WWDC announcement backs up what my own sources are saying about the annual conference. That is, expect a software show in 2011, not a hardware event. So, news from China says the iPhone 5 won’t ship until late 2011 (September at the earliest). TiPB makes a good point that Apple wouldn’t gain much from releasing the iPhone 5 after June. Android handsets are already offering advanced hardware that can easily compete with what the iPhone 4 has to offer. Apple will need to pull out the big guns to blow the competition out of the water when they finally unveil the next iPhone. When you think globally, it doesn’t seem like the Verizon iPhone or LTE would cause Apple to push back the iPhone 5 announcement. In case you’ve forgotten, Apple is very much a global company. And the Verizon iPhone was a US-only release. LTE is primarily a US-only story too, so does it globally make sense for Apple to skip their normal announcement date for either of these primarily domestic issues? 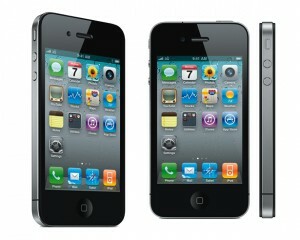 Do you agree that we won’t see an iPhone 5 announcement at WWDC this June? Why do you think Apple would wait for a later date?